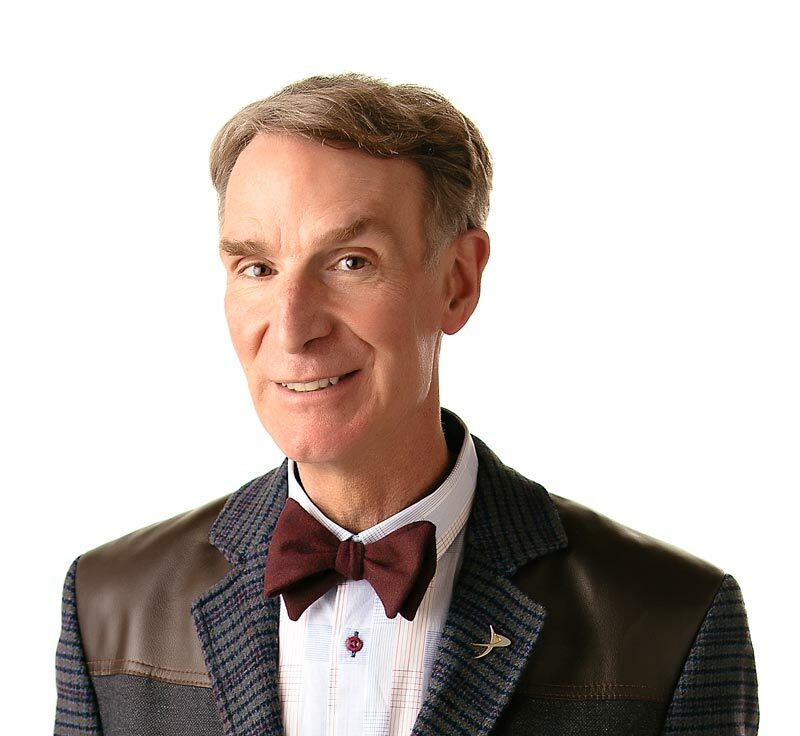 Bill Nye’s trying to tell you something – about communication. Animals communicate, or exchange information, in all sorts of ways. Dogs wag their tails when they want affection. Cats hiss and their hair stands on end when they’re ready to fight. Birds sing to warn other birds that something dangerous is around. You frown when you’re unhappy. By using sound, sight, behavior, and even smells, animals can let other animals know what’s going on. Most animals only communicate at the moment they need to – except humans. Thanks to such things as books, photographs, video, computers, newspapers, and letters, humans can store information outside their bodies. Other people can read, see, or listen to the information any time after it’s been made. This includes the Bill Nye the Science Guy show. So tune in to the “Communication” episode to hear what Bill has to say. Humans store information outside their bodies. “Language and Communication” Published by Arco Publishing, 1984. “Communications” by Ian Graham. Published by Hampstead Press, 1989.